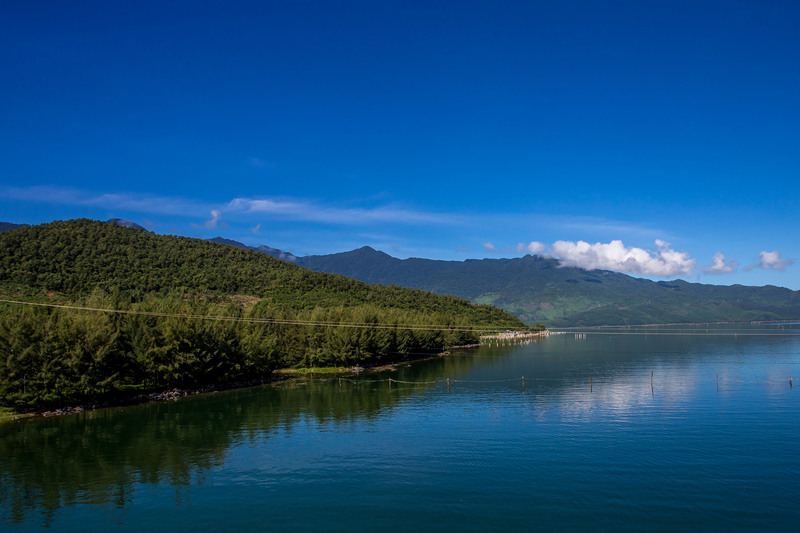 Located on the bank of the Perfume River, Hue is a popular destination among tourists. This does not mean you have to follow the traditional sight-seeing route, let's embark on a different adventure off the beaten track. Located on the bank of the Perfume River, this city is the capital of Thua Thien Hue province, 700 kilometers to the south of Hanoi. Although you can visit Hue at any time of the year, the most charming season is surely from March to August, especially March through April when the temperature is at its most pleasant degree with slight rain visits. After 143 years of being the capitol (1802 – 1945) of the Nguyen Dynasty, Hue today preserves at its heart some of the most delicate values of the country, namely: The Citadel, The Royal Music of Vietnam, Hue High-school for the Gifted, yachting on Perfume River, just to name a few. 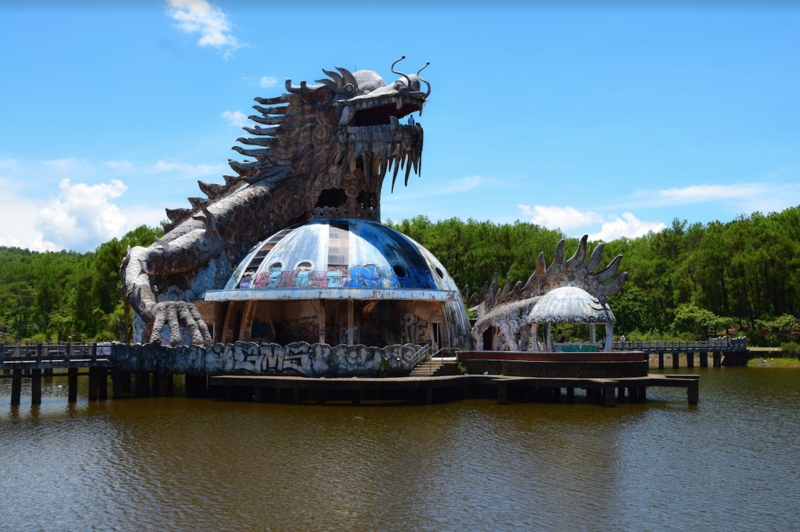 See how to spend a right day in Hue here. This article will not outline these amazing attractions that you must have visited already during your first trip to Hue. Instead, if you seek for off-the-beaten-track adventures, I will guide you beyond the city’s most famous attractions and the relics of Hue’s history. 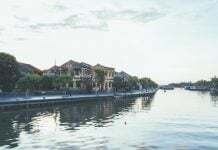 To enjoy Hue, travelers should walk leisurely along the peaceful streets as if in the 19th century when the Empire was there. 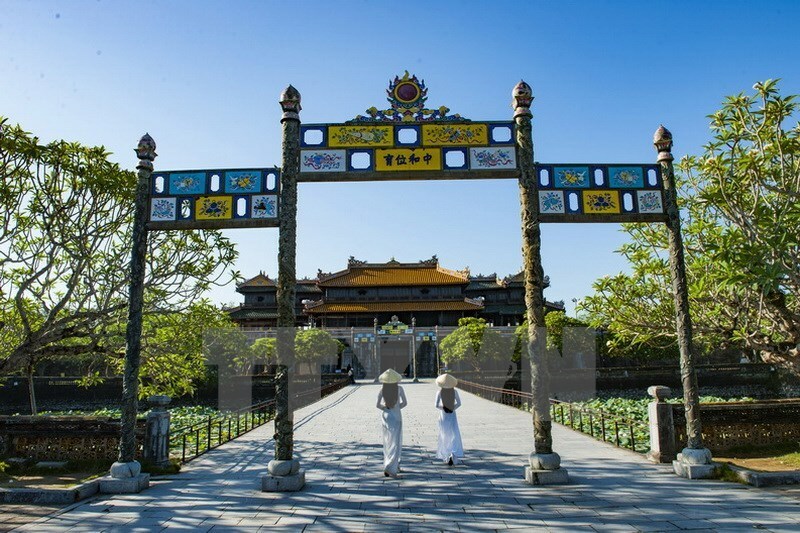 Witnessing the establishment and the collapse of the last dynasty of Vietnam within one and a half centuries, Hue holds at its heart a royal charisma. People talk gently and humbly, dressing neatly and walking leisurely. Nevertheless, if your time is limited, you surely do not want to spend a slow day in Hue. Take a look at Getting around Hue article for the best ways to get around the city. Once you are in the Citadel, ask a Citadel guide how to get to this gallery. The original version of such woodblocks is saved in Da Lat City – Lam Dong Province. The whole collection includes 34,618 woodblocks with diverse letters carved on the surface that are then printed into books. The content covers all aspects of Vietnam society under the Nguyen Dynasty, loosely categorized into: History, Geography, Politics, Military, Legislation, Education, Religion, Poetry, Languages, and International Relations (interestingly they did not really have Mathematics!). The Woodblock Collection was recognized as part of the Documentary Heritage of the World by UNESCO in 2009. 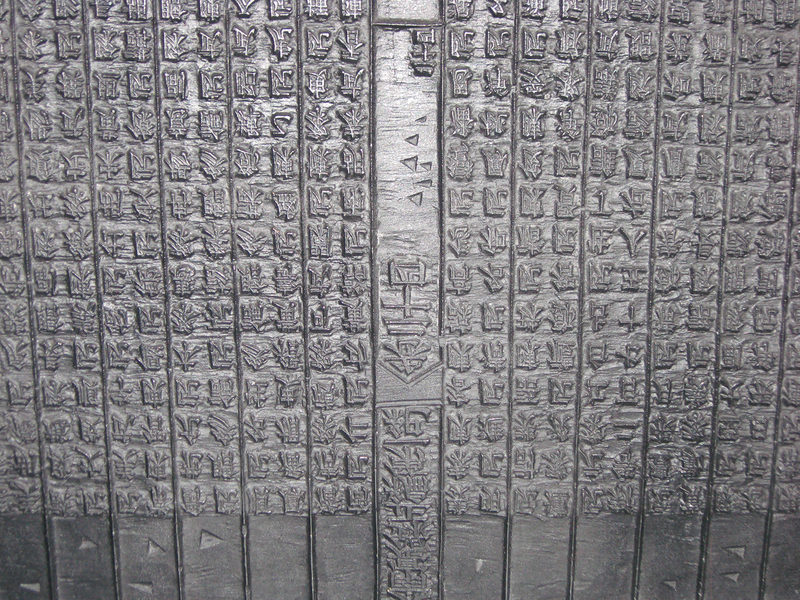 Although decorative, the royal literature on most of the walls in the Citadel has a majestic value that does not reveal itself to visitors paying a brief visit. The first unique aspect you will notice is that each poem is accompanied by a visual artwork. These artistic combinations were not put together randomly, they went through a tight selection and examination process. Under the Nguyen Dynasty, for any new architecture project about to be conducted, the Officials would select poems for later decorative purposes. The proposal was then sent to the Emperor for final approval. Upon approval, interior designers would consider where to place which poem in the newly constructed building, then send these to artists to carve. The visual artwork was then printed from the woodblocks. This method built Hue traditional decorative culture: one poem – one sculpture. In the Citadel, most poems were composed by the Emperors with topics highlighting the pride of the country. Poetry was once a critically important part of the Vietnamese educational system during the feudal period. Great leaders were typically great poets who wrote not about their personal feelings, but their concerns for the country, their teachings to the next generations, and their love of nature. Artist Nguyen Van He – the café owner – crafted his shop from used war weapons. He grew up in Vinh Ngan – a town that contains many relics of the last century’s wars. Since he was 14 years old, Nguyen Van He and his neighbors have been collecting such items to earn a better living. What is beautiful about this place is that these dreadful weapons are recycled into lively furniture. Off the well-worn path of this charming city, there hides a hill with mossy bunkers, from which you can see a beautiful bend in the gentle Perfume River and imagine how soldiers used to observe their region from this point. 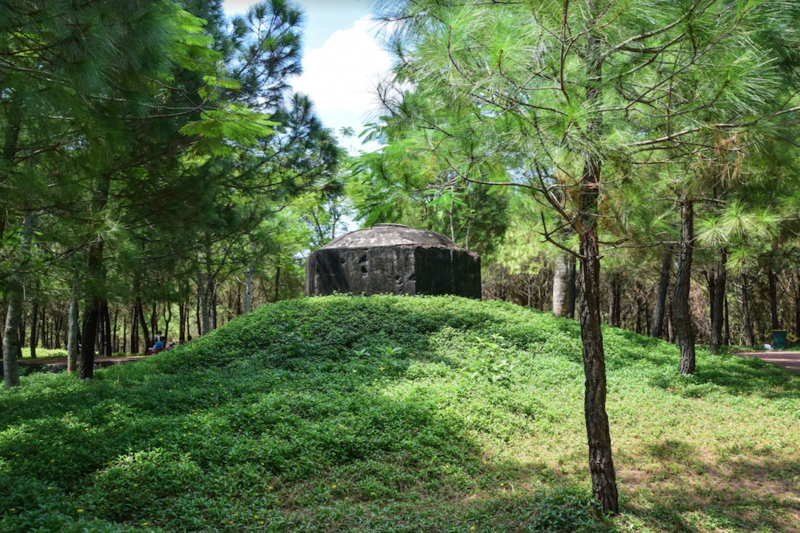 Despite its history, this hill has a romantic name: Vong Canh Hill, which means the hill to contemplate nature. Among the old pine tree lines, a cluster of concrete bunkers quietly reveal hints of the past to those that can find them. These bunkers were built by the U.S. army over half a century ago, in order to block this hill as a strategic geographic point in battle. And yet, today, these bunkers sit silently as old friends reminding us that wars pass and nature reclaims her earth. The hill is only seven kilometers from the city, so you can reach it by car, motorbike, or even a bicycle if you want to be environmentally friendly! On the way to this hill, you will have a chance to pass through the vibrant incense-making village. The village is accessible through Huyen Tran Cong Chua street. It used to serve as the main incense supplier for Hue, however now it is a quiet place that sees a few tourists. You can learn about its history, maybe even make your own incense, as well as understand how the locals create colorful bunches of these celebratory artifacts. If you are interested, the artisans will he happy to show you how to make them yourself! We highly recommend reaching bunker hill at sunset. At this special moment, the Perfume River reflects the light with genuine royal beauty. If you have good eyesight or a camera, you can also zoom in to witness the boats floating leisurely. If you choose this moment to visit the hill, you should expect to arrive at the incense village no later than 4 PM. If you are looking for terrifying scenes to challenge your bravery, this waterpark will not disappoint you! Opened in 2004, this entertainment complex did not receive a positive turnover, which finally forced it to shut down not long after. The construction has remained mostly unchanged since, except that it degrades gradually as time goes by. If until this point you are still eager to discover this abandoned site, give this article a read to get a comprehensive idea about its history and aesthetic! After spending your day inside this gentle old capitol of Hue, don’t miss your chance to visit Bach Ma National Park. 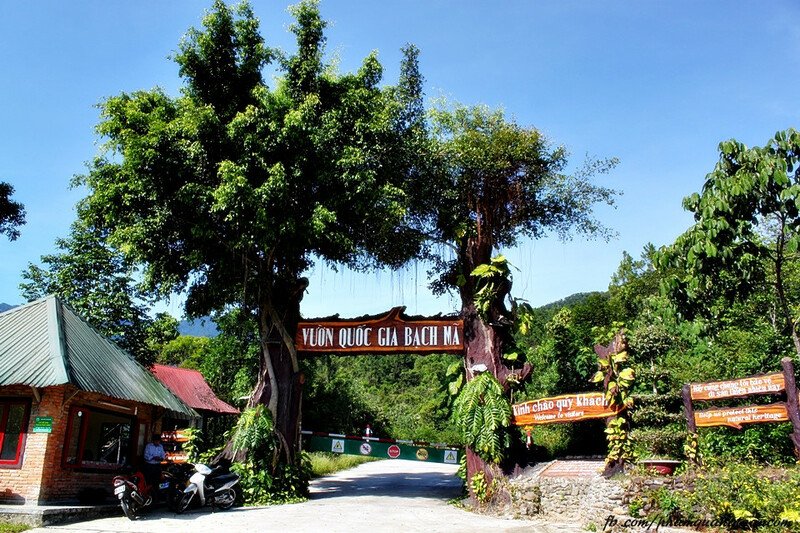 Located 40 kilometers to the south of Hue, Bach Ma mountain stands as a borderline between Hue and Danang. You can either take a bike or hire a car/ taxi to get here by following the National 1A Highway. Next to Cau Hai Market, there is a road leading to the national park. The best time to visit this beautiful natural place is February, when the famous red Rhododendron simsii blossoms at the bottom of the Rhododendron waterfall. If you cannot make your trip then, no worries, there is plenty of beauty just feet away to discover! Sporty, breathable clothes and sneakers are recommended! Vong Hai Dai (Sea View Tower): Although this trail is 1,430 meters above the sea, getting to the Sea View Tower is the easiest-to-be-conquered trail on this mountain. From this height, your view captures the great views bellow, with the charming capital 40 kilometers away, lying peacefully beside the sea. Five Lakes: A half hour walk along the trail will take you to an amazingly pure cluster of small falls and ponds. ‘Five Lakes’ refers to the five natural ponds located at different heights as a result of the water flow. Among the five, the third lake is said to be most beautiful with a reflective and peaceful stillness. Cho Den Forest: In this forest, chances are you will notice dozens of majestically aged trees, with one-meter diameters, named Cho Den. Its wood is good to use in house and boat construction. There are adventurous activities to be found in this forest such as zip-lining and adventure challenges like crossing a large hanging net. Sloping Water Fall: In the middle of the fall, there is a bold inclining cliff with water flowing gently over it. It would surely be fun to slide off the cliff into the water below! Truc Lam Pagoda: Standing on Linh Son mountain in the middle of Truoi lake, the monastery awaits visitors after their 15-minute sail across the lake. You should come here in the early morning and rent a boat to enjoy the fresh peaceful air of the mountain lake. The fee is around $1 per person. 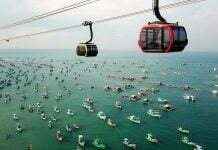 If you take the whole ferry (12 people), it is $10 for a one-way trip and $30 for the lake sightseeing trip. Sakya Muni Buddha stone statue, 24 meters tall, gently and solemnly sits on the mountaintop. 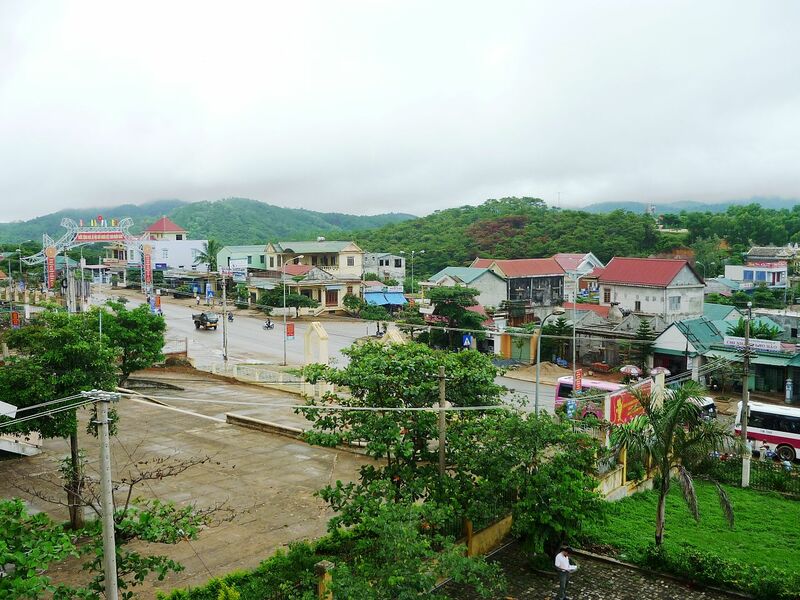 Khe Sanh town is located 145 kilometers to the south of Hue. In order to get to Khe Sanh, I recommend a 6-hour motorcycle route crossing the historic Ho Chi Minh trail! The trail is empty and quiet. Beside and behind is just the silent road and huge mountains, rugged cliffs, abysses – a lively embodiment of how soldiers have been suffering during the last century’s wars. The trail today has been reconstructed, hence you will find it way easier to ride along the road. However, please check your motorbike and fill up on gas before you depart. You can also drive a car here. It will save you one-fourth of the time, though it will be a bit less interesting than navigating yourself among the forest and cooling your face with the natural wind! After a long route, you will finally reach the small town! You should opt for Khe Sanh Combat Base, where you will find a historic runway, a trench, and a museum informing you of a story about a tremendous battle. You should visit the base before 5 PM. Try to avoid street vendors trying to sell you war souvenirs said to be collected from those that have passed away. If you are a coffee lover, Khe Sanh should be an exciting destination, as it was once famous for growing Robusta in the middle of Vietnam. After the coffee price dip in 2012, many farmers gave up on the plant, but the remaining farms will delight your interest. 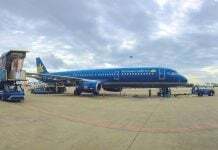 You should prepare to stay overnight in Khe Sanh, since it’s not worth the 12 hours cycling back and forth to Hue in one day. There are not many hostel options, however, you can opt for Green Hotel, a center-located hotel with a swimming pool, children’s house, clean rooms, and beautiful views. And guess what, the price is only 250,000 VND per night! Hue is attractive, yet discreet. It is growing, yet quiet. Hue is not as dynamic as Saigon, not as sparkling as Hanoi, but it has its own rustic charm. The old capitol remains and with it, an authentic atmosphere – the charisma that you will feel when your feet touch the ground of Hue, when you reach to the people and listen to their stories. We are looking forward to hearing more off-the-beaten-track stories about Hue from you – the capitol’s beloved guests! If you are still unsure of “how to do as the locals do”, and want a good companion to guide you to hidden gems, team Onetrip will make your experience painless and exciting!